When you are looking for commercial roofing contractors, we are ready to assist you at your business in Newmarket. Are you looking for commercial roofing contractors who are experienced enough to put a quality roof on your building? Has your property experienced storm damage, and you need professionals who will give your roof the attention it deserves? At Slippery Slope Roofing, we believe you should always be able to rely on your roof, especially when your business operations require you to have a sound building for manufacturing, shipment, and your workers in Newmarket, Ontario. 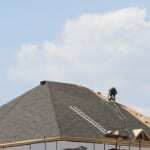 So, when you are looking for commercial roofing contractors, we are ready to assist you. At Slippery Slope Roofing, we take extra care to give our customers special attention by only working on one roofing project at a time. With us as your commercial roofing contractors, you can feel confident we won’t be distracted by other ongoing projects and that your roofing materials will be constructed properly. Our team has over 50 years of combined experience providing high-quality roofing services, and we always work to make sure your roof is completed in a timely manner and your business looks as good as new when our work is done. Contact us today if you have questions about how we can serve as your commercial roofing contractor or if you need to schedule services. At Slippery Slope Roofing, we are committed to doing the job right the first time, we are fully insured with the WSIB, and we offer competitive pricing that will tell you that you have come to the right place. We look forward to working with you.